Google has announced the latest version of Android OS, codenamed as Marshmallow. The eligible Nexus devices will start getting OTA update in the upcoming weeks. 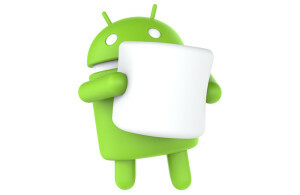 But a lot of android users, especially the geeks don’t want to wait for the OTA. So Google have uploaded the Marshmallow factory images so that the impatient people can download and flash these images and get the Android 6.0 experience right away. Factory images are nothing but the Android operating system files which can be directly installed (flashed) into the device. Before you decide to flash these images, you should know that this will completely wipe your device. So make sure to take a back up of everything before you proceed. As of now, the marshmallow factory images are available to the following devices only. The Nexus 5X and Nexus 6P will be shipping with Android Marshmallow preloaded into it, so there are no marshmallow factory images available for them right now.